In November 2018 we lost a huge figure in the world of popular entertainment, superhero films and comic books. Stan Lee, the man responsible for the rise of Marvel and everything it encompasses today, sadly died at the age of 95 last year. 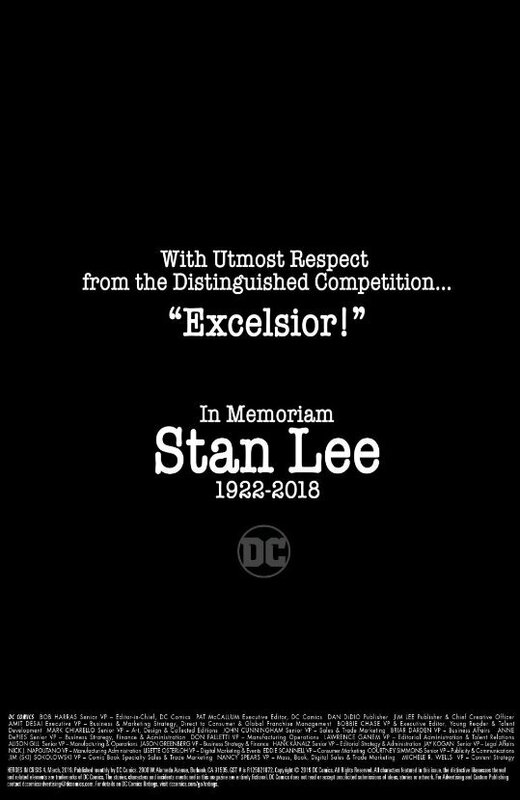 And though Marvel, much like the numerous superheroes it created, had its rival in DC Comics, the latter is putting their differences aside, and starting 2019 with a heartfelt tribute to Stan Lee. Stan died aged 95 on Monday November 12, 2018. Hailed by POW! 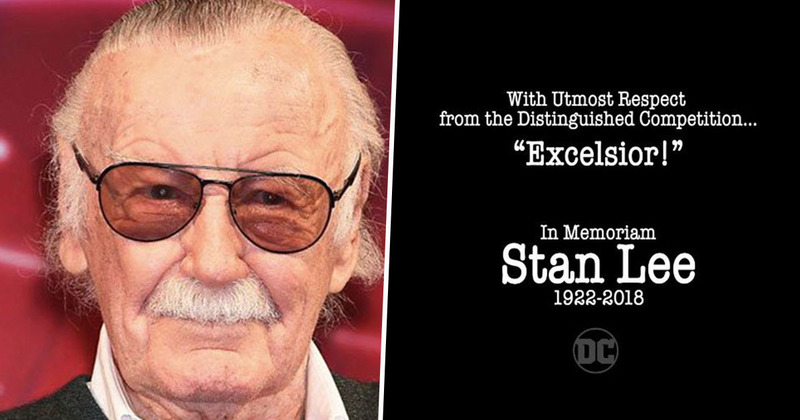 Entertainment as ‘the father of modern culture’, he was the co-creator behind some of the most iconic superheroes, including Spider-Man, Iron Man, The Hulk, Black Panther and Daredevil. Stan remained an active member of the Marvel family; still referred to with affection as the King of Cameos. In fact, he had already filmed his cameo for Avengers: Endgame before he passed. [Lee]’s the godfather of a lot of these stories, him and Jack Kirby. So, Stan, typically we try to get him out — he doesn’t love to fly — so we try to get him out for his cameos around the same time. So if we have other movies shooting on the same lot that we’re on, for instance Ant-Man [and the Wasp] or Avengers 4, we group his cameos together and then move him from one set to the next and get him through his cameos in one day. Stan made his latest cameo in Ant-Man and the Wasp, which was released in July, 2018. As the Russo brothers explained, Ant-Man was filming around the same time as Avengers: Endgame, making it easy for Stan to film his cameos for both films at the same time. The Russo brothers also indicated Lee would be making appearances in Marvel movies ‘well into 2019’. With the undeniably huge success of recent films such as Thor: Ragnarok and Avengers: Infinity War, Marvel shows no signs of slowing down with Captain Marvel and Avengers: Endgame on the horizon in 2019. However, DC is gaining pace when it comes to blockbusters, as their new, Jason Momoa-starring Aquaman made a huge splash at the box office at the end of 2018. Also coming up this year in the world of DC is the new Joker movie, starring Joaquin Phoenix at the titular villain, which arrives in cinemas on October 4 this year. It is understood the action will take place in 1980’s Gotham. Warner Brothers have described the film as an ‘exploration of a man disregarded by society [that] is not only a gritty character study, but also a broader cautionary tale’. It has also been suggested that Alan Moore and Brian Bolland’s graphic novel, The Killing Joke (1988), will be one of the primary sources for the plot.